Welcome to Richard's Vault & Monuments, LLC. Please click on a link in the column to the left to navigate to the item you are interested in. 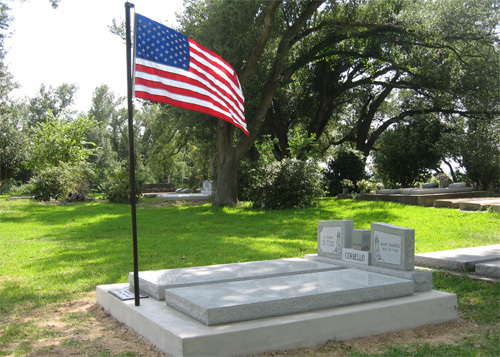 Richard's Vault and Monuments, LLC provides at need and pre-need burial vaults and cemetery monuments (also known as headstones or grave markers). Please call 337-496-7811 if you would like to make an appointment, or if you have any questions or concerns we may assist you with. We are located in the Lake Charles/Sulphur, Louisiana area.